Eindhoven airport is currently working on a big transformation going from just 1 million passengers in 2005 to almost 3,5 million passengers this year. Eindhoven Airport has managed to make their expansion plans fitting with the sustainable ambitions of the city of Eindhoven. 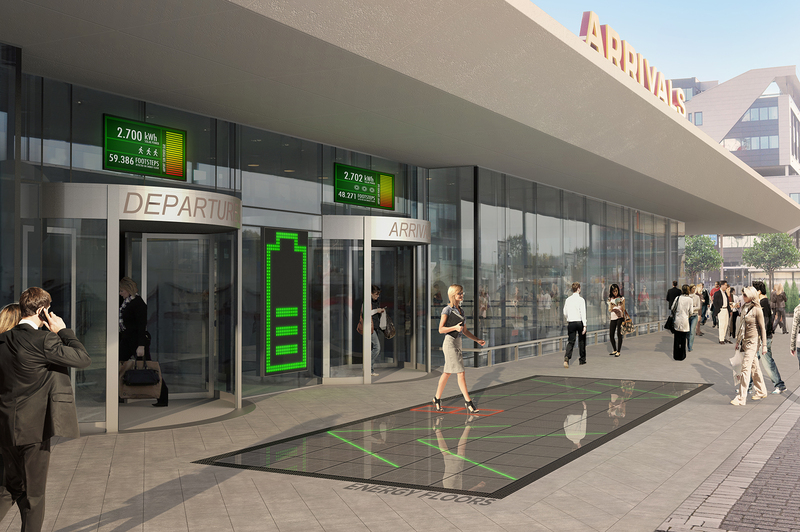 The terminal will have a A+ energy level and the brand-new hotel on the terminal has the ‘Green Key’ label. Furthermore, all constructions are done with sustainable materials, energy efficient lighting and PV-panels where possible. This is also were our Walker comes in. We are working together with Eindhoven Airport to implement a Walker in front of the terminal to make the flow more pleasant for the thousands of visitors of the airport.